Writer and historian Frye Gaillard was a long-time friend of country music legend George Hamilton IV, who died Wednesday. Gaillard’s tribute to Hamilton will be read at Hamilton’s memorial service. I met George Hamilton IV in 1968 when I was a student at Vanderbilt and Robert Kennedy was visiting our campus when he was running for President. We heard that Kennedy was going to be 45 minutes late and we asked George if he would entertain the crowd of 11,000 people. George agreed. But Kennedy turned out to be two hours late and George played the whole time, keeping the crowd both riveted and patient. When the night was over, we sent George a $500 check as a modest token of our gratitude. He refused to accept it, saying that we had bestowed upon him one of the greatest honors of his life. That was George Hamilton IV, a country music star who refused to act like one. If he had — if he had surrounded himself with the pomp and trappings of stardom — I have no doubt that he would already be in the Country Music Hall of Fame, a lapse, I assume, that could still be remedied. But George was much too humble for that, too human and fine to puff himself up, even in the wake of his #1 hit, �Abilene,� his ground-breaking albums full of Gordon Lightfoot songs, his introduction of songs by the greatest folk writers in North America — Joni Mitchel, Leonard Cohen, Phil Ochs — to a country music audience. If he had had a bigger ego, he would perhaps have been more impressed — more self-important in the memory — of friendships and close musical associations with Patsy Cline, Skeeter Davis, Chuck Berry, Sam Cooke, Chet Atkins and many, many more. Or for that matter, by the time he spent with Billy Graham and his multiple performances at Dr. Graham�s crusades. 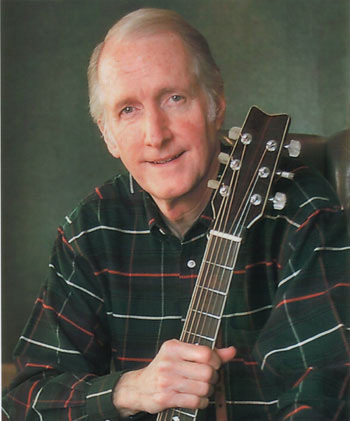 George Hamilton IV did all of these things in the course of his career, and he did more than anyone in the modern history of country music to spread its gospel to an international audience — from Canada to Great Britain, from Czechoslovakia to New Zealand, even to what was then the Soviet Union. But above all of this, George Hamilton IV was the kindest, gentlest soul I have ever met, a man who loved his beautiful wife, Tink, his sons, Peyton and George V, and his daughter, Mary, as much as a husband and father ever could. I am saddened by his death more than I have words to express. But I am gladdened by the fact that he spent his life doing what he loved. He thought of himself as a lucky man, and he was. Almost as lucky as the rest of us, who knew him personally or listened to his songs, and therefore touched a little of his greatness. In addition to their friendship, George Hamilton IV is profiled in Frye Gaillard’s history of country music, Watermelon Wine.